I’m pretty sure when potential employers read my resume and see Egyptology listed as my degree, they think to themselves, “What in the world…” And then toss my resume aside. I can’t say that I blame the average hiring manager for writing me off based on my degree. Some might think I’ve shot myself in the foot. Why in the world would I study Egyptology and think I’d get a job with that? Good question. I never wanted a job (at least not long term). I’ve always wanted to make money from my passions. In reality, Egyptology is a gift. Many Egyptologists go on to become entrepreneurs. And though it’s tempting to think the reason is because jobs in this field are notoriously sparse, and new positions often don’t open up unless someone dies, and so therefore many Egyptologists become entrepreneurs as a fall-back, the opposite is true. Many dream-driven, passionate minds are entrepreneurial, and most of them, like me, are attracted to fields that inspire us. Some of these fields are “unpractical.” I have no regrets. Contemplating the reasons that my job procurement skills are… inconsistent called to mind a book I’ve recommended before, Think and Grow Rich by Napoleon Hill (October 26, 1883-November 8, 1970). Napoleon is one of the earliest writers of personal-success literature. Think and Grow Rich was written in 1937, so it’s oddly worded to say the least, but nevertheless, worth the read. 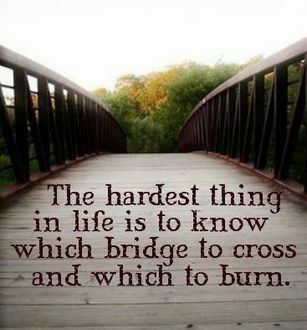 One (of the many) things he insists on is burning all other bridges but the one you truly want to cross. It’s counter-intuitive and against human nature to trap oneself. But think about it, what has history shown humankind is capable of when presented with no other choice but the one given? In 1982, Angela Cavallo of Lawrenceville, GA lifted a car and held it up for 5 minutes to save her son’s life. In 2003, Aron Ralston cut off his own arm after it had been trapped under a boulder for six days. High unemployment caused by recessions have always produced similar, albeit less dramatic, results: tons of entrepreneurs opening new businesses to support themselves and solve problems in their communities. If Egyptology has burned bridges for me, I’m grateful for it.